With endless miles in the bank and the Virgin Money London Marathon just around the corner, Sport-locker.net knows that finding any extra motivation to boost your final weeks of training is like stumbling upon the Holy Grail. And that’s exactly what runners in Victoria Park were treated to with a surprise morale boosting display from the Lucozade Sport Choir of Motivation. Singing popular running songs and cheering people round on their last big training runs, the choir even sang runners names as they paced round the park. 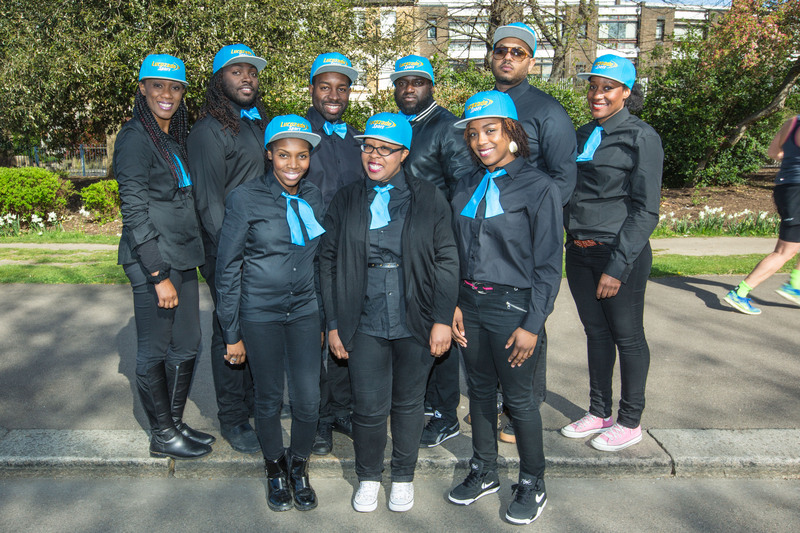 The activity will be replicated at the Virgin Money London Marathon, where the Choir of Motivation will line up on Mile 23, helping to give runners that final push through the latter part of the course. Vicky Morgan, Lucozade Sport Marketing Manager, said: “The Virgin Money London Marathon is renowned for its amazing atmosphere, with a large part of the reason for this being the enthusiastic crowds that turn up to support year on year – they help push the runners on towards the finish line during the most difficult moments. Would you like to get a boost from Lucozade Sport’s ‘Choir of Motivation’? What else gets you motivated? Let us know in the comments section below or on our Twitter and Facebook pages.